Harvard University has been accused in a lawsuit of unfairly restricting the number of Asian-Americans it accepts. The trial over Harvard University’s race-conscious admissions policies may have put a spotlight on current allegations that it discriminates against Asian-American applicants, but the Ivy League school has been dogged by similar questions for nearly 30 years. On Tuesday, Students for Fair Admissions, which has accused Harvard of racial discrimination, focused on the university’s history during the second day of the closely watched trial. The organization, which represents Asian-American applicants, questioned how much has changed at Harvard since a federal government investigation in 1990 and another inquiry in 2012, and what role race plays in how the university rates applicants. Students for Fair Admissions alleges that Harvard has general limits on the share of Asian-American students on its campus. The university’s system for evaluating students, particularly on their personal qualities, disadvantages Asian-American applicants, who tend to score lower on that metric, hurting their chances of gaining entrance, the group says. Harvard has known for a long time that the personal rating is a problem and that race influences that score by admissions officers, Adam Mortara, an attorney for Students for Fair Admissions, said in his opening statement of the trial. Those personal ratings, which measure characteristics such as courage, kindness, and leadership, are gleaned from an applicant’s letters of recommendation, essays, interview, and other personal data, according to Harvard. But they are also fairly subjective and drew scrutiny from the US Department of Education’s Office of Civil Rights in 1990. The federal agency investigated complaints that Harvard discriminated against Asian-American applicants and were admitting them at a lower rate than white students. After a review of Harvard’s data, the department didn’t find evidence of racial discrimination but noted that white students were more likely to receive higher personal scores than Asian-Americans. The report also found that admissions officers would sometime make stereotypical comments about Asian-American applicants. William Fitzsimmons, Harvard’s dean of admissions since 1986, said on the stand Tuesday that the Office of Civil Rights report remains an “important benchmark” for the university. Fitzsimmons said Harvard officials discussed the findings of the report, but he did not say how admissions officials addressed the concerns raised in the report. Harvard lawyers have yet to question Fitzsimmons. But William Lee, who is representing Harvard in the trial, said the university’s policies have been repeatedly found to be legal and have been cited by the Supreme Court in the past as an appropriate use of race in admissions. 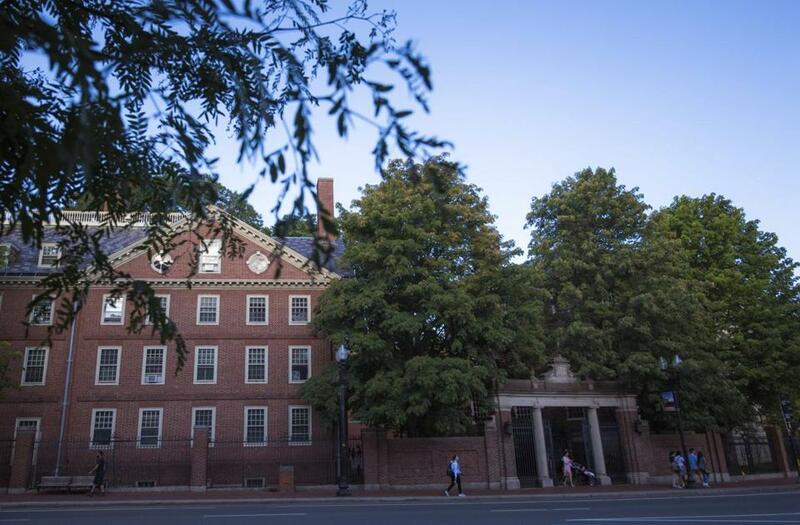 According to documents presented in court, the Office of Civil Rights came back to question Harvard in 2012 after parents of an Asian-American student who had been denied admission complained. Harvard again defended its admissions process and argued that while the unnamed student excelled academically, he did not demonstrate any stellar extracurricular participation or personal qualities.